Michelle Lemley strikes again with her phenomenal photography talents! 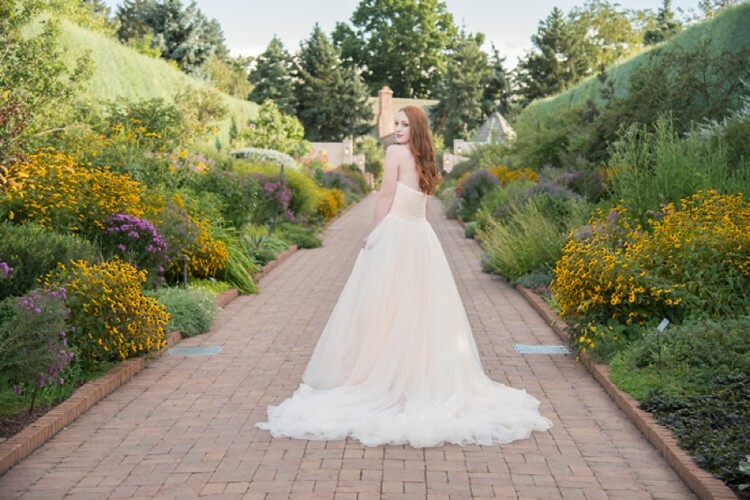 She idyllically captured this La Sposa gown at the lush Denver Botanic Gardens. 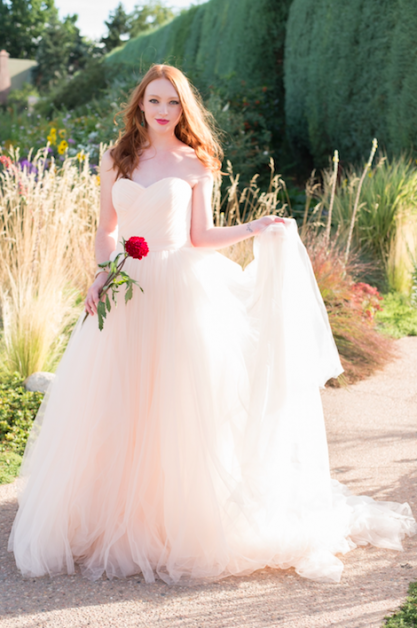 The way the gown stands out against the shrubbery is exquisite! Adding a simply touch of flowers in the bouquet by Tend Home and Garden placed the cherry on top of this lavish look. And check out the latest wedding trends in hair and makeup brought to you by Shannon at LiveLoveLash and Annie Luna at The Hair Cult– we only wish we could look this dazzling every day! 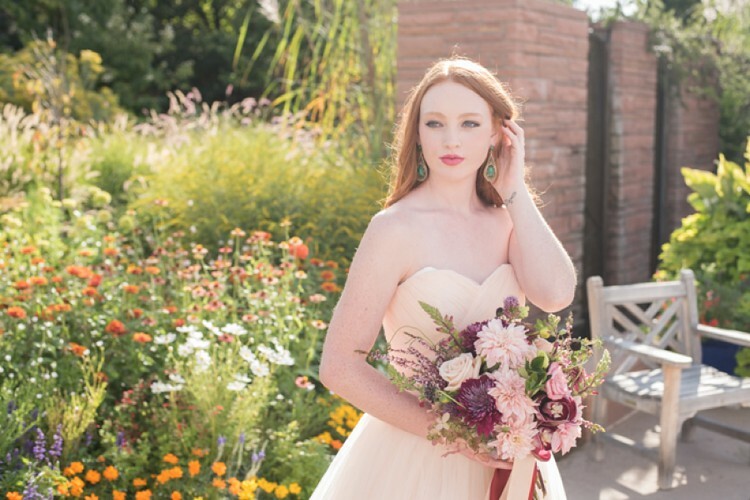 This special shoot was featured on the Couture Colorado Blog- check out the feature here!